Great winemaking starts in the vineyard. V. Sattui brought us a wonderful story to share. Rooted in Italian emigrant Vittorio Sattui’s late 19th century plantings and then revived and nurtured a century later by his great grandson Dario, we were inspired by the history of this brand. 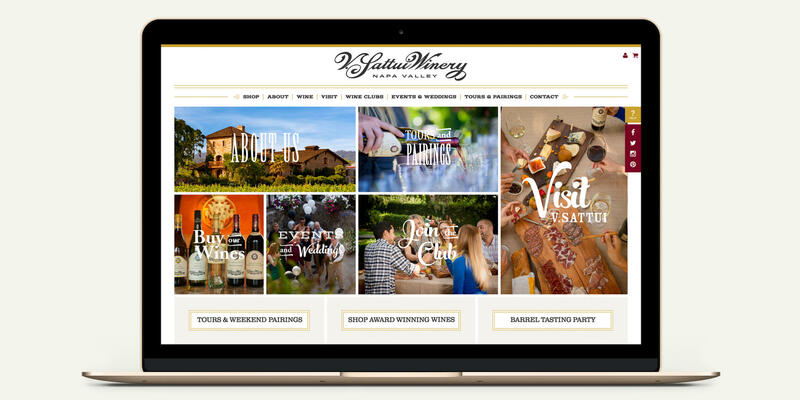 With our logo and website redesigns we strove to capture the essence of the Sattui family spirit and their diverse portfolio of whites, reds, sparkling and dessert wines offered only at the winery in their beautiful Napa Valley location and on their website. 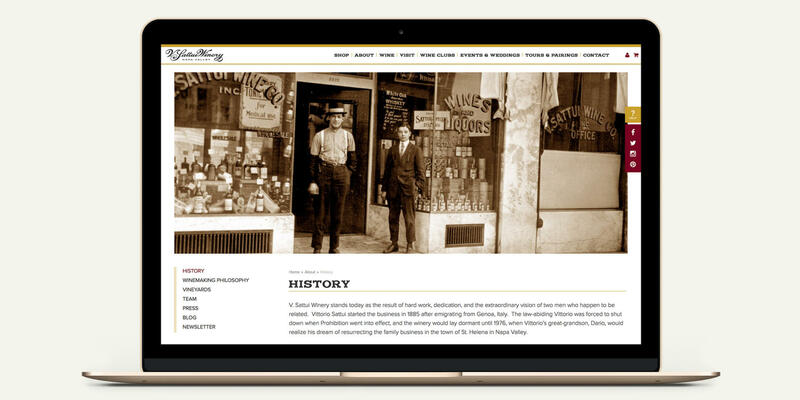 It’s a family affair for the modern world with a rich history and plenty to do, see and taste. We bring a modern freshness and simple elegance to this classic brand.